In the summer time it’s too hot to stay out in the sun for very long. That’s why most rooftop terraces in Marrakech are covered. That way you can still relax outside, and as an added bonus, enjoy the panoramic view of the old city. 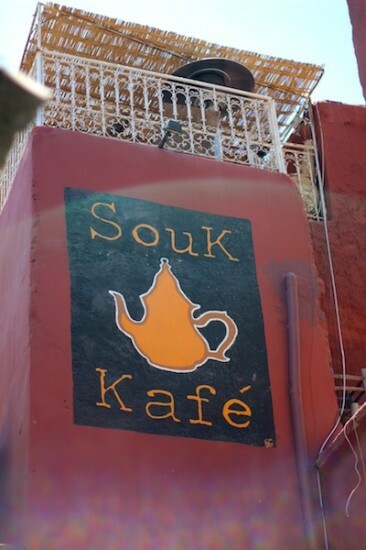 After you’ve finished your bargain hunt for tea pots, lamps or candles it’s a good idea to relax at the Souk Kafé for lunch. 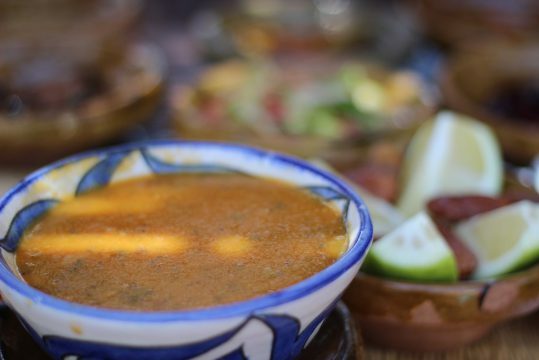 Order Harira for starters, followed by a selection of Moroccan salads or a veggie tajine.